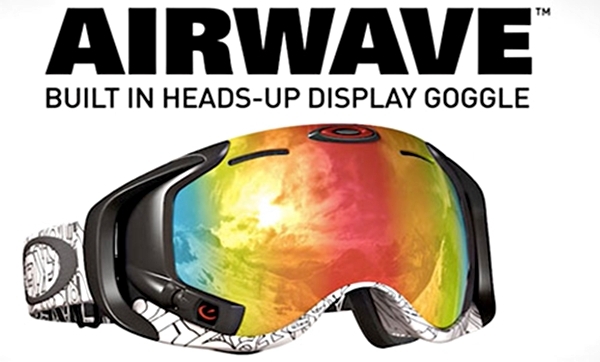 Oakley has recently launched their new “Oakley Airwave” snow goggles. It is a high-tech goggles that makes use of a heads-up display, GPS and bluetooth technology. It guides skiers by providing access to information on the ski resort and mountain. Skiers can check the distance, height, airtime and location while wearing your goggles. Additional information like altitude, speed, temperature, and vertical descent data can be also accessed. Since it makes use of bluetooth technology, the wearer can also connect to your smartphone and answer calls and read text messages, while skiing. They can even choose their music, without taking the goggles off. It features a clear heads-up display that won’t distract you when your skiing. When worn, the skier can see a 14-inch display from a distance of five feet. The Oakley Airware goggles can be bought for $600 through Apple and Oakley shops.